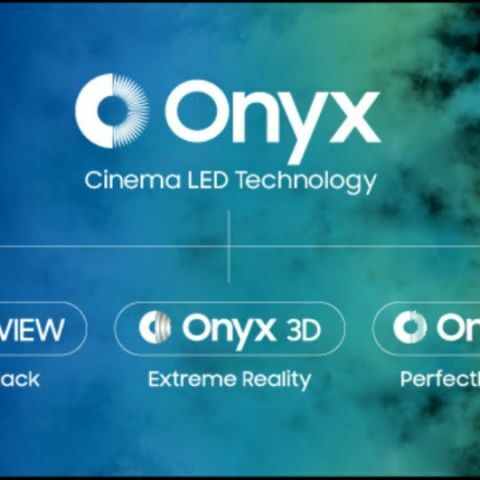 Samsung "Onyx" screens feature the first HDR & DCI Certified 4K LED Technology and have the ability to deliver better picture quality with true black colour, bringing content to life with higher vibrancy and accuracy in a cinema theatres. Samsung's 4K "Onyx Cinema LED" display for large screens, currently available only in a few countries across the world, is set to come to India later this year, a top company executive said on Wednesday. To begin with, PVR Cinemas and INOX Group would install 'Onyx Cinema LED' in the country. The Samsung screens would be installed at PVR multiplexes in Delhi and Mumbai. "We first launched the screen in Korea, then we installed it in China, Europe, Thailand and the US. Once users watch content on 'Onyx' screen, it would be very difficult for them to switch to conventional projectors in theatres," Puneet Sethi, Vice President, Consumer Electronics Enterprise Business, Samsung India, told IANS here. Samsung "Onyx" screen has the ability to deliver better picture quality with its true black colour, bringing contents to life with higher vibrancy and accuracy in a cinema theatre near you. "We are delighted to announce our latest technology association with Samsung for their 'Onyx Cinema LED' screens in India. Partnering as the first movers, PVR will be the foremost cinema exhibition chain in the country to introduce this technology for the Indian audiences," Gautam Dutta, CEO, PVR Ltd told IANS. The display comes with comprehensive solutions such as "Onyx View", "Onyx 3D" and "Onyx Sound". The company, however, did not reveal the introductory price of the 4K "Onyx" LED screens for the Indian market. "We are introducing a game-changing technology which would showcase the work of film directors in optimal quality. In addition, it will also offer our movie-goers a new level of viewing environment, immersive in every aspect," Sethi added. Combined by an infinite contrast and specialised low-tone greyscale settings, "Onyx View" delivers brighter and more detail-rich content. The screen delivers HDR (High Dynamic Range) to the cinema, showcasing on-screen contents at peak brightness level, nearly 10 times greater than that offered by the standard cinema projectors. It is also the industry's first DCI-certified cinema screen available in various sizes. The screen also offers "Onyx" surround sound from JBL by Harman International and Samsung's Audio Lab. "This integration eliminates rearward bias by expanding the audio 'sweet spot' within Onyx theatres and ensures that all users can enjoy the same presentation throughout, regardless of the seat location," Sethi informed. The South Korean major has collaborated with cinema content developers and technology solution services providers to ensure that the display can optimise upcoming films as the theatres upgrade their screen to the Onyx screen. The screens will be able to display images of 4K, 2K, HDR and 3D quality.